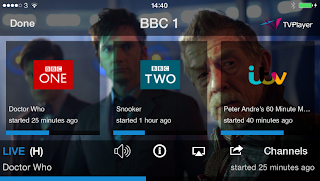 A new and free TV app, which enables viewers to watch a selection of Freeview and Freesat channels on their smartphone has been launched by Simplestream. 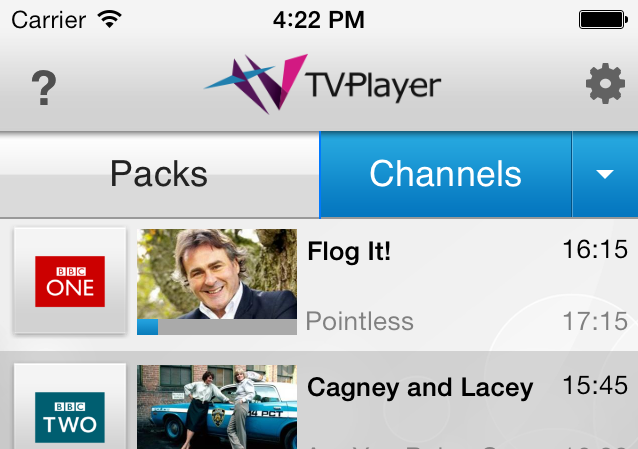 TVPlayer fully launches in the new year, but the interim service has already reached the Apple App Store's top 100 within 24 hours of launching. It's also available on Android smartphones via Google Play and via Amazon Apps for Kindle. Support for Windows Phones is coming soon. A tablet version of the service will launch along with the TVPlayer website in January 2014. Simplestream's TVPlayer app has been designed so that it enables users to scroll through the UK's most watched channels by channel or genre, including Entertainment, Kids, Music, Desi and News. The app is ad-supported. Already, mobile users can download TVPlayer to access all BBC TV channels, plus ITV, Channel 4 and Channel 5. These channels can however only be accessed via Wi-Fi hotspots and home networks. Channels available on both Wi-Fi and 3G connections include music channels Heart TV, Capital TV, Clubland TV, Planet Pop, Channel AKA and Greatest Hits. Hindi Freesat channels Sony SAB, Rishtey and Colors provide entertainment from South Asia. News junkies can watch the latest from BBC News, Al Jazeera English, France 24, Bloomberg and RT. CNBC will launch next year. Dedicated followers of fashion can watch Fashion TV via TVPlayer. The Box, 4Music, Heat, Kiss, Magic and Smash Hits will launch via TVPlayer soon. As reported yesterday, Simplestream has already made these channels available via the Box TV+ app to mobile users. Other channels coming soon include Quest, Movies4Men and VIVA. Simplestream along with S&T is a partner in Synapse TV, who work together with broadcasters to offer a variety of official streamed TV services, including pay TV service VuTV and Horse & Country TV's new catch-up portal. Does this have any advantages over TVCatchup? Some different TV channels are available with TVPlayer compared to TVCatchup.